I recently purchased my first home. While the property was vacant and owned by the bank, the screens were split in an effort to try to break into the home. Luckily the doors and windows were locked at the time and the offender decided to walk away. This made me consider security when I moved in and I weighed some options. I want to feel safe while away from home and wanted to be prepared for a break in, but the costs associated with security systems are way too high. This is why I decided to go with a DYI solution and ended up installing the ConnectSense line of products. I now have peace of mind with no additional costs and without the headaches involved with home security service providers. The following is a list of things to consider before jumping into a conventional security service. Most home security companies require a technician to come and install security systems. Not only are you inviting a stranger into your house, but this could cost hundreds to thousands of dollars. It is especially expensive if your home isn’t pre-wired or you go with an elaborate system. 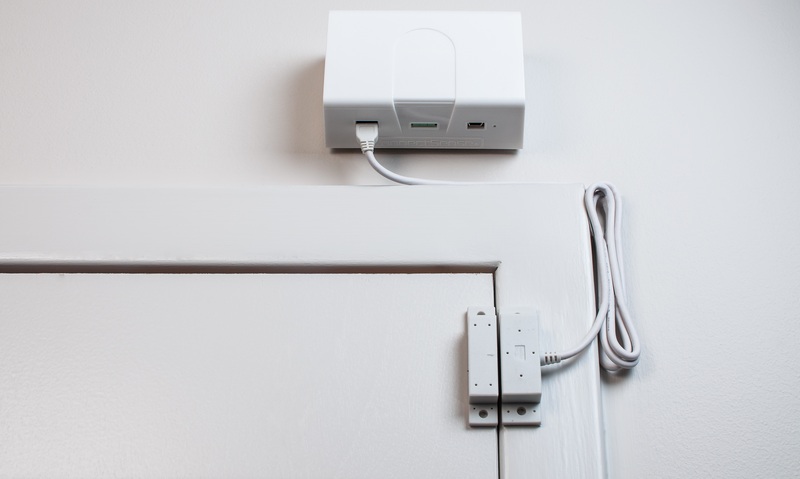 With DIY security sensors like ConnectSense, you do not need to run cables because they are wireless, you can mount them anywhere there is a Wi-Fi connection, and the installation takes less than 5 minutes for a non-technical person. Monthly fees for a monitored security system can range anywhere from $25 to over $100 a month and typically require a several year contract. That usually exceeds the average annual homeowner's policy discount for having the service. These fees do not apply to a DIY security network. The system automatically does the monitoring for you and will send you a notification in the event there is a security threat. Approximately 80% of reported alarms are false alarms. When this alarm is received by a security monitoring center and they contact the police, you will be billed for the false alarm. 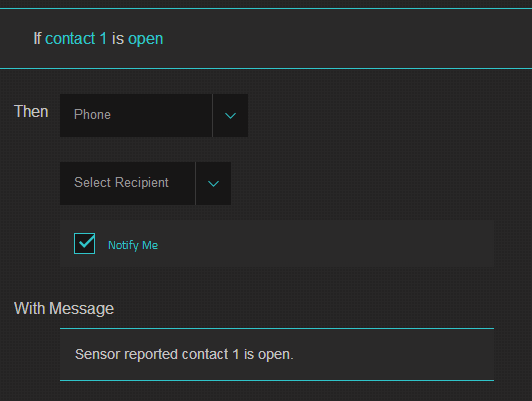 With cloud based DIY sensors like ConnectSense, you get notified directly (via email, phone call, text, or tweet) instead of it going through a monitoring center. You can use your own judgment whether or not to call the police. This will save you from expensive false alarm fees. False alarms overwhelm security monitoring centers do to the high amount of them. To avoid these false alarms, monitoring centers set rules that allows the resident as long as 2 minutes to disable the alarm before they notify you or the police. This gives an intruder 2 extra minutes. With a ConnectSense security system, you personally get notified within a minute of a security threat. Monitored home security systems work only if you remember to activate them. This requires you to arm the system whenever you leave and disarm the system whenever you get home. With cloud based home security systems like ConnectSense, there is a scheduler that allows you to select what times and what days of the week you want to receive notifications for specific sensors. You can essentially make a schedule for when the security system, or part of the security system, is active and when it is not active. Most monitored security systems will not work with a power outage. Even if they have a battery backup, it will work for at most a day. 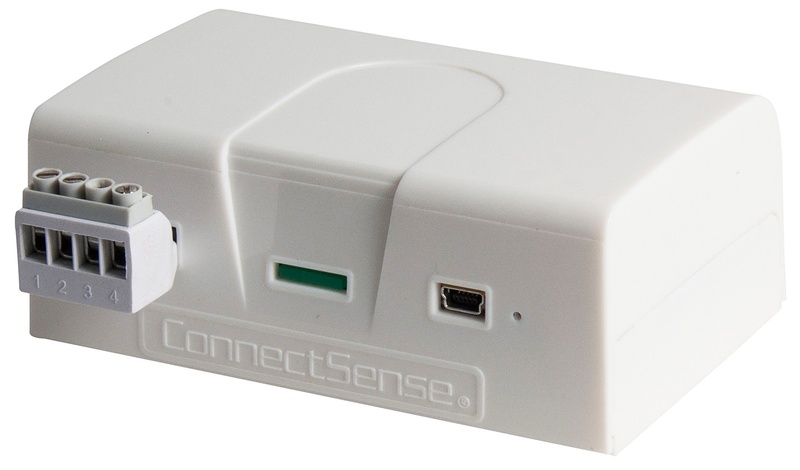 ConnectSense cloud based security sensors can be powered by outlet or batteries. On batteries, these sensors will work up to 3 years. All you need is a backup battery for your Wi-Fi access point. With monitored home security, in the event of a false alarm, if you want to remotely disable the alarm, you would have to call your security monitoring center and tell them to disable the alarm. With cloud based DIY security like ConnectSense, you can adjust rules and disable sensors from any device with an internet connection. Most home security companies have some basic environmental monitoring sensors available that are geared toward safety. These are usually smoke detectors and CO2 sensors. With cloud based sensors like ConnectSense you can add other sensors like temperature and humidity sensors, water sensors for detecting basement floods, light sensors, and motion sensors. And all sensors can also trigger output devices such as a smart alarm siren strobe, 0-10VDC digital output, or a power relay output in order to control a sump pump, cooling system, audible alarm system, etc. Home security companies require you to pay for and use their own sensors. With ConnectSense, you are able to use any third party sensor with a dry contact output using a dry contact input device. There is also a 4-20mA solution as well. With home security companies, you have to call them to add more sensors, and schedule them to install them for you if you ever want to expand you service. This is costly and inconvenient. With cloud based solutions like ConnectSense you add sensors to your account and are able to manage them individually. Expansion is simple and cost nothing more than the cost of the hardware.